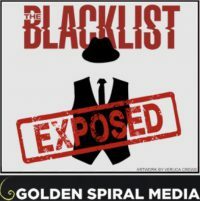 Tags: $100K bank notes, $3M penny, 0511, 100th Episode, 1943 pennies/penny, 4 pennies, 511, @NBCBlacklist, Abraham Stern, acid, air duct system, Amber, antiques, artificial eye, Bank (Republic Commerce), bathtub, bathtub (heart-shaped), bendy straw (Glen), Betadine, birthright, Blacklist, Blaise, Blitz (Homburg Churchill wore during), bloody rag, Bobby Navarro, boiler, boiler room, Boone, box tops, bronze pennies, bronze penny/pennies, candy (Fireballs), Carter, century (crime of the), chemicals, Church (surname), Churchill’s hat, cipher, code in pennies, coin (rare), Cooper (JD), crime of the 20th century, crime of the 21th century, crime of the century. decoder ring and periscope, decryption Denver Colorado, Denver map, Denver Mint, descent into madness, Detective Singleton, dissolve bodies, Dobbs, 💯, e pluribus unum, Edgar Allan Poe, Elizabeth Keen, engraving, Episode 10, Episode 100 (of series), Episode 11, evidence (stolen), evidence locker, evidence vault, eye (artificial), eye (glass), Federal Reserve notes, financial holy grail, Fireballs (candy), foreclosure, forgery, fortune, fortune hunt, four Fireballs, four pennies, Frank Dobbs, Gabor Museum, geoinformatics, glass eye, glass shard, Glen Carter, Glen is a licentious cur, Gold Bug, Greyson Blaise, hat (Churchill’s), hat (Homburg), hat (Winston Churchill’s), heart attack (fake), heart-shaped bathtub, Heddie Hawkins, Herbie Hunnicutt, hidden treasure, holy grail (financial), Homburg he wore during The Blitz, Hunnicutt, HVAC tubing, hydrochloric acid, informant, inheritance, insurance fraud, insurance investigator, It’s too clean, James Spader, JD Cooper, Keen, Kornish, legend, licentious cur (Glen is a), Lincoln Penny, Lincoln penny/pennies, Liz, Lizzie, Lizzy, madness (descent into), map (treasure), map of Denver, map to a vast fortune, Megan Boone, mint, Mint (Denver), money laundering, motto of US, MPD, museum, museum (Gabor), mystery, Navarro, NBC, nothing was stolen (The Mint says), numismatic, Oak Island Money Pit, one offs, out of many one, packet sniffer, passive packet sniffer, Patrick Church, pennies/penny, pennies/penny (1943), pennies/penny (bronze), pennies/penny (rare), Penniless, penny ($3M), periscope (decoder ring and), phone (rotary), Poe, police evidence vault, rag (bloody), rare coin, rare pennies/penny, Raymond, Red, Reddington, Republic Commerce Bank, robbery, robbery (Denver Mint), robbing the Denver Mint. Robert Louis Stevenson, rotary phone, S05E11, S5E11, script, Season 5, shard of glass, Singleton, skull nailed to a tree, Spader, Stanley Kornish, Stern, Stevenson, Stewmaker, stolen evidence, sulfuric acid, The Blacklist, The Gold Bug, treasure, treasure hunt, treasure map, treasure myth lives on (And so the), US motto, vast fortune, vault, vending machine, Whoops!, Winston Churchill’s hat, Yamashita’s Gold, You always get your man, You love treasures Raymond, You were robbed? You? Something like 15 million people watch this show, either live or on DVR, so I think we need to be cautious in assuming it is only intended for those of us who work canons or timelines or scripts or Amazon Prime. I posted a photo montage to Twitter. Here’s the link http://pic.twitter.com/B1dc4lLWV0 It shows the photo from the Stewmaker’s album, the photo in Berlin’s watch and the photo Red gave to Aram (very fuzzy). To me, they all look like the same girl. Red told the guy at the DMV that finding “the Girl” was crucial to [resolving?] his “war with Berlin.” I did not see the photo Red gave to DMV-guy, but I assume Red gave DMV-guy and Aram the same photo.